Be a part of the revolution. The digital revolutiuon. We haven't shot film in three years and it just keeps getting better. What does this mean for you. You get to see more pictures, we routinely shoot over 600 frames a day, so every moment gets captured with the flair and spontanaity that only Dave Bruzzese brings. He shoots several different styles at the same time:traditional, contemporary, and candid, and he is open to consulting with couples on what they like, so he can tailor his shooting to your needs. What else? You can do anything with digital. Colour to black and white and anywhere in between, and back again. Distracting details, easliy removed by our expert imaging team in the studio. Each print is hand crafted, and polished, digitally remastered to look like whatever you want. 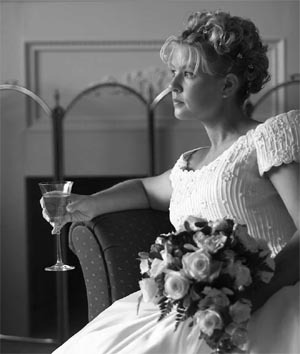 Or, better yet leave your whole book up to us, and be amazed at how good your wedding can look.